Why the Ethiopian Orthodox Lenten Fast? A few days ago at lunch with my guides I decided to share their Lenten fast. They follow the tradition of the ancient Christian church to abstain from meat, poultry, milk, eggs and butter and basically live on vegetables. It is not so difficult to follow the discipline in a culture that supports it. Every restaurant has Lenten fasting menus and the fast is no sacrifice at all in that all the vegetables are organic and spiced so well that the Lenten fare is a gourmet delight! Today at lunch when they brought to the table another wonderful vegetable dish, I thought if this is a fast bring it on. 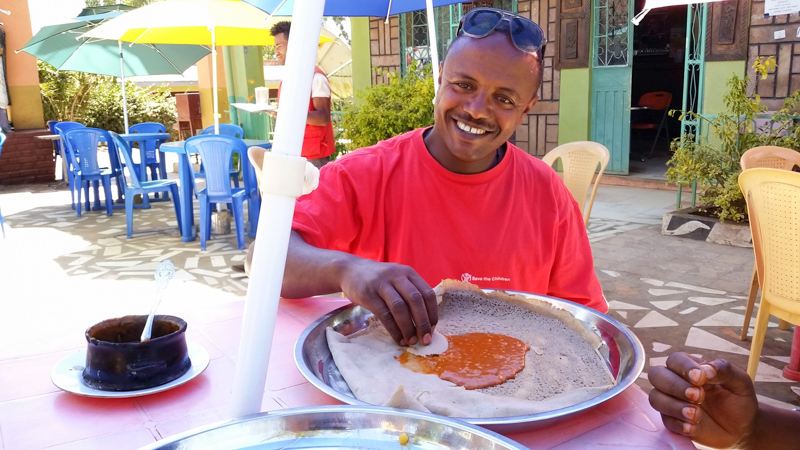 Seriously, I am so happy to share the fast with my devout Ethiopian driver and guide. This fast affirms my solidarity with them in faith. They are Orthodox and I am Catholic however I feel such a kindred spirit. Ultimately one fasts for spiritual reasons however at the same time it is a public witness we share the same faith. And that to me is very spiritual. After all our belief in Jesus must be incarnate in all of our relationships. Today my guide told me his recently deceased uncle who was my age, was a priest at Saint Michael Church in Lalibela. That has made my sharing the Ethiopian lenten fast. Even more important to me. I decided to embrace the fast of the host country that has made me feel so welcomed. My driver and my guide Alex and I are keeping the lenten fast together as brothers in faith. The smile on their face is a joy that is the fruit of the spiritual discipline. This tour is becoming for me a Lenten pilgrimage. 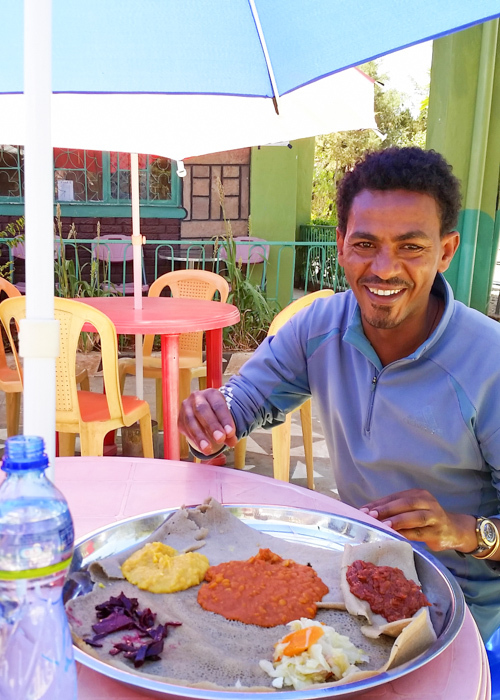 This entry was posted in Faith, Lent, Travel and tagged Ethiopia, Faith, fasting, Lent, Orthodox on March 16, 2015 by frjfkauffmann.